Tickets available now for the R&B Super Jam! 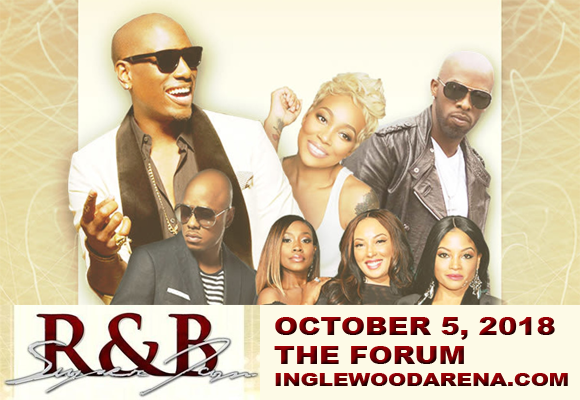 Featuring the incredible talents of R&B icons Tyrese, Monica, Joe, Donell Jones & 702, the Super Jam comes to The Forum on Friday 5th October 2018! Expect nothing but wall-to-wall hits from these legendary acts, who will be getting the crowd going with all the chart-topping tunes from their illustrious careers! Don't miss the opportunity to see all these amazing R&B giants in one place! American singer, songwriter, rapper, actor, model, VJ, screenwriter, film producer, author and television producer Tyrese. Best known for his hits "Nobody Else," "Sweet Lady," "I Like Them Girls," "How You Gonna Act Like That" and "Stay," Tyrese has also made a career from acting, starring in The Fast and the Furious and the Transformers film series. American singer, songwriter, actress, and entrepreneur Monica, best known for the number-one hits "Don't Take It Personal (Just One of Dem Days)", "Like This and Like That", "The Boy Is Mine", "The First Night", "Angel of Mine", "So Gone", and "Everything to Me". American singer, songwriter and record producer Joe, known for: "Stutter", "All the Things (Your Man Won't Do)", "Don't Wanna Be a Player", and "I Wanna Know". Donnell Jones, who had hits with "U Know What's Up," "Where I Wanna Be," and his cover of Stevie Wonder's "Knocks Me Off My Feet." American platinum-selling vocal girl group 702.